Ever since Disney purchased Marvel, they’ve exploited the company’s many characters in movies, on television, in theme parks, and stores across the world. That’s ensured that the likes of Iron Man and Spider-Man are known by people of all ages, but less popular heroes have also been given the chance to shine; take Ant-Man for example. Ant-Man and The Wasp is set to be released next year, but in the meantime, some new animated shorts are on the way to Disney XD. These follow on from the ones we saw revolving around Guardians of the Galaxy characters Rocket and Groot and are set to premiere on June 10th and 11th. 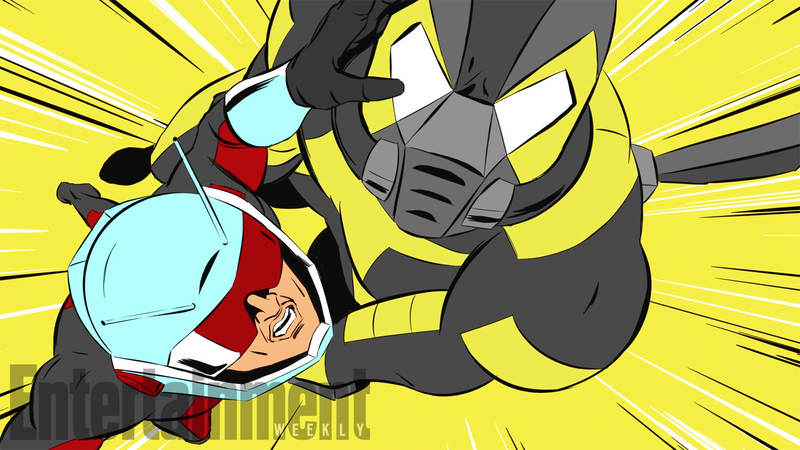 Disney XD’s Ant-Man was animated by Passion Pictures, the studio behind Gorillaz’s animated music videos. Each of them will run for two minutes and are directed by Ugo Bienvenu and Kevin Manach, and written by Brian Wysol. It’s not expected that Ant-Man is connected to the feature film, but the shorts are clearly inspired by it and with any luck, they’ll be just as fun as the movie was.